What Is Courier Fleet Insurance? If you run a courier business that has a fleet of five or more vehicles to transport other people’s goods for hire or reward, then courier fleet insurance is for you. If you have less than 5 vehicles, we offer a highly competitive courier insurance product to meet your needs. 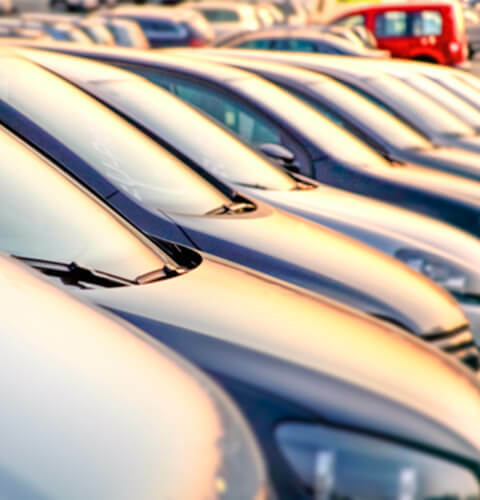 Running a fleet of vehicles is easier to manage and more cost efficient under one policy. ChoiceQuote are widely recognised experts in courier fleet insurance, so will be able to offer your business an individually tailored policy to meet your needs. Who Should Buy Courier Fleet Insurance? Any courier business that has six or more vehicles is deemed to own a fleet of vehicles, and is therefore eligible for the benefits of the courier fleet insurance product. You are classed as a courier if you transport other people’s goods for reward, typically performing a number of drop-offs on a frequent basis, as opposed to hauliers, who generally transport larger items over longer distances for hire and reward. As different insurers can classify your business in different ways, if you are in any doubt, call our expert advisors on 0800 440 2180 who will be able to confirm if courier fleet insurance is the right product for you. What Does Courier Fleet Insurance Cover? Courier fleet insurance ties together all of the vehicles you use in your business under one common policy. You can take out comprehensive cover to protect your fleet of courier vehicles against damage, as well as covering your legal responsibility to be insured against damage to other vehicles, people or property. How Can I Get A Quote For Courier Fleet Insurance? To obtain a courier fleet insurance quote, please call our friendly team of specialist courier insurance advisors on 0800 440 2180 or request a call back by filling in the form at the top of this page. We will be pleased to offer a competitive quotation based on your business’s individual requirements, ensuring you get affordable cover that meets your needs.